Update: The Deliberative Democracy Consortium is hosting an exchange of ideas on this topic. Join the conversation here. 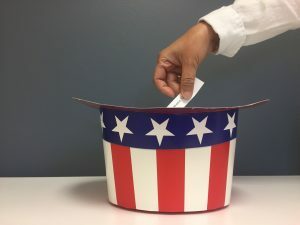 Lee Drutman of the New America Foundation, writing on Vox.com’s Polyarchy blog, makes a bold statement: more public participation isn’t the answer to our political woes because the reasonable, civically-minded voter is a myth. This is the latest in a trend of articles analyzing American politics and the role of citizens, beginning with Jonathan Rauch’s sprawling analysis for the Atlantic of our political system and its populist weaknesses. Fortunately, Mr. Drutman’s analysis is narrowly focused and should not discourage those of us who have broader imaginations about democracy and the power of an active citizenry. Public participation is not limited to voting for or against representative policymakers, as Drutman asserts. Rather, civic life is a rich ecosystem of opportunities to participate in our grand experiment in self-governance. The individual voter is the building block of democracy. Civically-minded wise Americans exist across the land, and they are doing good, important work in their communities. Drutman’s article relies on a series of assumptions that are, at the very least, not the whole picture. They are based largely on assumptions that Jonathan Rauch and Benjamin Wittes make in their recent Brookings paper advocating for an increased role of political intermediaries and a decrease in direct democracy. In their world, participation in politics is limited to the election of representatives; the sole result of a citizen exerting their political wisdom is to vote out politicians who prioritize interest groups over the people; and, finally, making politicians serve the people is the end goal of public participation. But in reality, citizenship and public participation encompass a wide array of powers and responsibilities. To be clear, I don’t take issue with the negative impacts of unbridled, reactive populism. Rather, I see clearly the vast and largely untapped potential of democratic wisdom at the citizen level. Drutman articulates others’ assertion that there is a mythical wise citizen who will save our democracy by influencing politicians to serve the people. This citizen is “moderate, reasonable, and civic-minded” and if given more power would compel politicians to behave differently. It would indeed be naïve to assume that this magic citizen would influence American society so greatly that they could change the fundamental behavior of politicians. In that way, the author’s objection to this mythical citizen is easy to make. And I agree that waiting for a perfectly reasonable, moderate, and civically minded voter to fix our Republic is a flawed strategy. Thankfully for all of us, public participation is much broader, deeper, and more creative than that. The various mechanisms of public participation build civic literacy, increase citizen power through knowledge and interaction with our political systems, and build bridging social capital among disparate groups. There are positive downstream impacts on our local, state, and national communities that come from citizens engaging in their communities in a meaningful way. Drutman also addresses the role of political intermediaries. These intermediaries, which he defines as “politicians, parties, and interest groups” are the people who help people recognize what their interests are through cues. But this group is depressingly limited, and strikingly partisan. It ignores faith leaders, universities, media, community groups, advisory groups, citizens’ juries, and local government engagement folks. These groups, many of which are nonpartisan, provide moral leadership, knowledge, and granular information about voter interests that Drutman’s definition of intermediaries ignores. Drutman’s article forecloses the citizen’s ability to participate in democracy in ways that consider tradeoffs and the long-term view. There is a glimpse of possibility in his discussion of hybrid systems, citing Rauch and Wittes’s assertion that ““better decisions” come when specialist and professional judgment occurs “in combination with public judgment.” Unfortunately, Drutman rejects the concept by conjecturing that hybrid systems are not possible because they would not have a clear person who is “in charge” and holding the power. In fact, the entire field of democratic deliberation is devoted to creating hybrid systems that connect citizens with policy experts and allow them the time, space, and information to carefully consider policy choices. Of course, power is held both formally and informally, and differently depending on the situation. In a classic representative system, elected policymakers have the ultimate power, and they can gather input in various forms. There are also stakeholder processes where groups can be given very strong recommending power, to the point where it would be politically infeasible to reject their advice. There is also direct empowerment of citizens, such as through ballot initiatives and referenda, where a majority vote of the people makes policy. Drutman’s claim that “voters are not policymakers” is simply not true in states, cities, and counties with direct democracy. In all of these cases, there are opportunities to merge technical expertise with citizen participation. The example with which I most familiar is the Citizens’ Initiative Review. This process, which was developed by Healthy Democracy, is a hybrid system in which a microcosm of representative citizens (reasonable, moderate, and civic-minded, by the way) examines a ballot measure. They draw upon the arguments of partisan intermediates (advocates for and against the measure) and the input of independent policy experts. 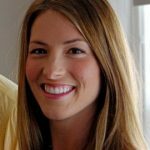 Their goal is to provide to their fellow voters a clear statement that outlines the key facts about a ballot measure as well as the best arguments on each side. The result of public participation in the Citizens’ Initiative Review is an artifact that can be used by voters to make civic-minded decisions when participating in direct democracy. The knowledge that a group of fellow citizens spent four days sorting through the issue on their behalf is an inspiring service, one that can compel not only the people in the room but those who read their statement and appreciate the service to be more civic-minded and engaged in their own lives. 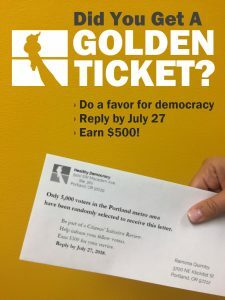 Research by scholars in the political science, communication, and government fields affirms that the Citizens’ Initiative Review process is democratic, deliberative, and unbiased. Their analyses find that Citizens’ Statements are highly accurate and are a reliable source of information for voters. They also find that voters actually do use the statement when casting their ballots, and that voters who read the statement have more knowledge and are more confident in their knowledge. This piece is not intended to be an advertisement for the Citizens’ Initiative Review, but the fact is that reforms like it are rare and most folks do not have the opportunity to witness these processes and their results. In our unique position as a deliverer of these reforms, we see the extraordinary transformation that regular people undergo when called to serve their fellow voters in this way. The vast majority of citizen participants leave with a better understanding of democracy, political values, and policy analysis—not to mention a deeper understanding of the policy topic under study. It should be noted that one reason these reforms are rare is because they disrupt the work of partisan intermediaries who would prefer to deliver information to voters through a lens that suits their own ends, often at the expense of accuracy. In a refrain familiar to many political observers, partisan intermediaries’ assessment of the value of nonpartisan intermediaries corresponds closely with how well the information produced via nonpartisan means supports their partisan ends. You see, citizen participation takes many forms. And participating in democracy does not fit neatly in the world of policy and politics. It is a common lament recently that hyperpartisanship has led to two Americas, and that our problem is that we refuse to talk to one another. Well, the first step to breaking down hyperpartisanship is to personally know people with politics that oppose your own. Any action that builds bridging social capital (social capital across heterogeneous groups) is an act of democracy. Then, when our democratic systems are stressed, we can draw upon that social capital for resilience. If we can see the other side as people, and don’t demonize, dehumanize, and disregard them based on partisan cues, we can stay engaged in democracy with one another. In the close of his piece, Drutman calls on us to abandon the search for the mythical average citizen and seek an alternative. Since the author fails to articulate an alternative, I offer one here: let us expand our understanding of public participation to include the multitude of civic actions that add value to our democracy. We can start in the realm of policymaking and politics with deliberative democracy. Well-designed deliberative processes (see the National Issues Forums, citizens juries, and the Citizens’ Initiative Review, among others) give voters a structured container to consult experts, consider tradeoffs, and deliberate the merits, consequences, and underlying values of policy choices. These processes take time, patience, and resources, but it is a worthwhile investment in the health of our democracy. Let’s also work to build social capital through community work. A bank of social capital can give us the tools and relationships to better consider policy tradeoffs and impacts to our communities in the future. Additionally, an expanded conception of public participation gives voters opportunities to grow into more civically literate people. Not only can they better understand and act on their interests, they will be more likely to consider political problems creatively if they choose to enter representative politics. These kinds of programs are all around us. 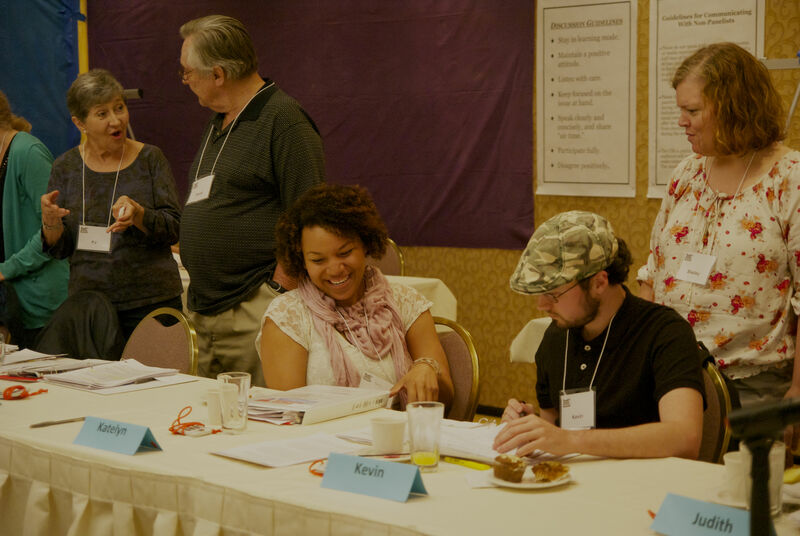 See Community Oregon, our experiment in building statewide urban-rural social capital in the state of Oregon, as well as other organizations that bring different types of people together to build connections across differences (e.g. Everyday Democracy, The Village Square, and many others). The mythical citizen is all around us. She sings in a choir, volunteers her time, helps her neighbor with homework, and teaches her grandchild about the branches of government. She is doing democracy in her everyday life. She is serving her fellow citizens. She is our Plan B.